Wood flooring expands and contracts in homes that experience typical humidity variations; expanding when it is hot and humid, and contracting when it is cold and dry. 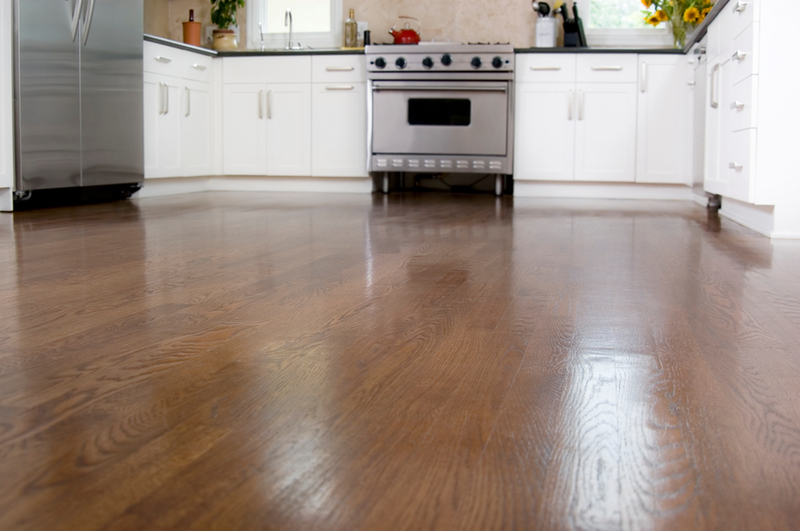 Unfortunately, seasonal variations in wood flooring is both typical and unavoidable. Employing humidity controls is a helpful and effective method to help protect hardwood floors during temperature fluctuation over time. In winter months during the heating season it helps to have a humidifier on the heating system to try to keep the shrinkage of the hardwood flooring to a minimum. Please note, however, that a humidifier will not stop 100% of the shrinkage but it will help. In summer months during the moist hot season it helps to run the air conditioner to keep expansion of the hardwood flooring to a minimum. In addition, a dehumidifier will also help to keep the humidity down. Again, please note that running the air conditioner and a dehumidifier will not stop 100% of the expansion but it will help. Call or stop by Fred Callaghan Carpet and Flooring to speak to one of our experienced sales professionals to learn more about humidity controls and hardwood flooring care. At Fred Callaghan Carpet and Flooring, we combine years of expertise with modern technology. Stop by today to sample our collection and schedule a free in-home measuring appointment.